The rimless wall-mounted WC with innovative and effective flushing technology offers an efficient solution. 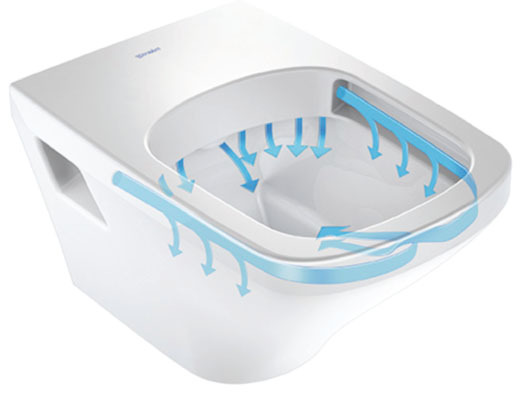 The water is delivered to the bowl forcefully and systematically, ensuring that the entire inner surface is rinsed throughout the flushing process. 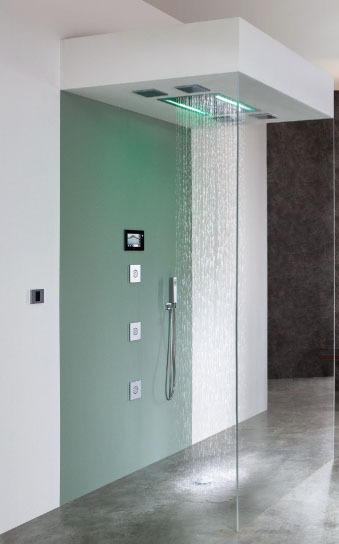 The dynamic water flow provides outstanding flushing results while preventing splashing. As a modern wall-mounted toilet of the 6/ 4.5 litre generation, DuraStyle rimless even saves water. Duravit with its new rimless technology demonstrates how geometry, fluid mechanics and design can be successfully combined for maximum efficiency. In Duravit Rimless®, the open design of the WC rim enables an innovative and powerful flush; water flows in the form of a horizontal arc, and then vertically, before flushing the entire inner surface of the bowl without splashing. 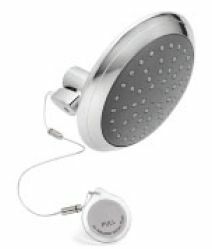 This technology ensures the perfect and hygienic flushing results, even with smaller volumes of water, like 4.5 litres. Thanks to the open, easily accessible rim area, the bowl is particularly easy to keep clean, and this reduces cleaning times considerably.